Please don’t talk to me about the Islanders missing the playoffs. It literally came down to the last few games of the season which is exciting but not because it torments my nerves like nothing else can. They didn’t make it and I am all bent out of shape about it. It will take me a few days to get over it and move on. I suppose it’s time for me to turn my focus towards rooting against the Rangers and on to baseball season. 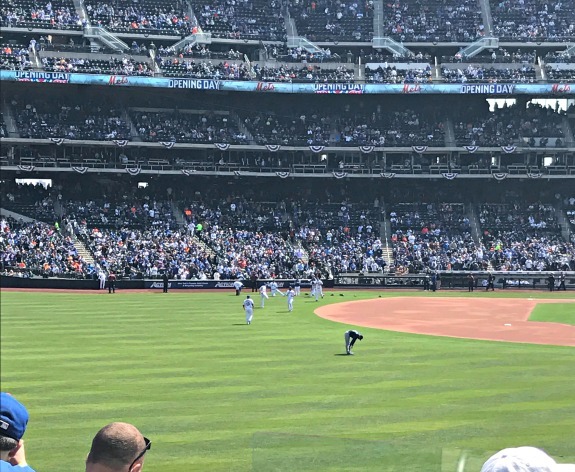 I made my return to Citifield this week. Citifield is where the Mets play. 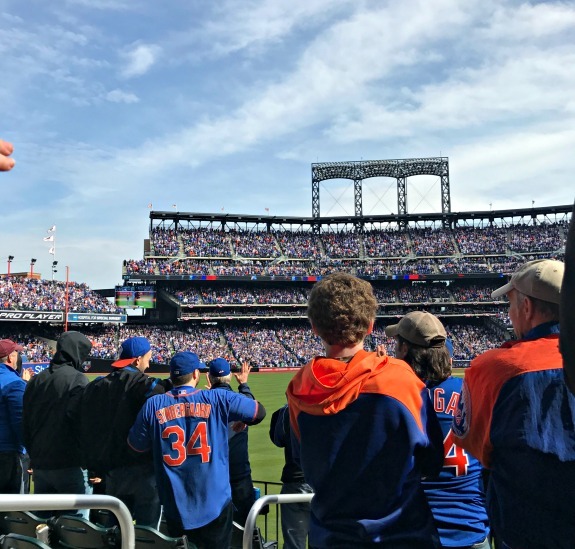 My son is the Mets fan and I am the Yankees fan but I am okay with going to Mets games. Really, I don’t mind. Who remembers when we had Citifield luxury suite seats and I recapped the food?! 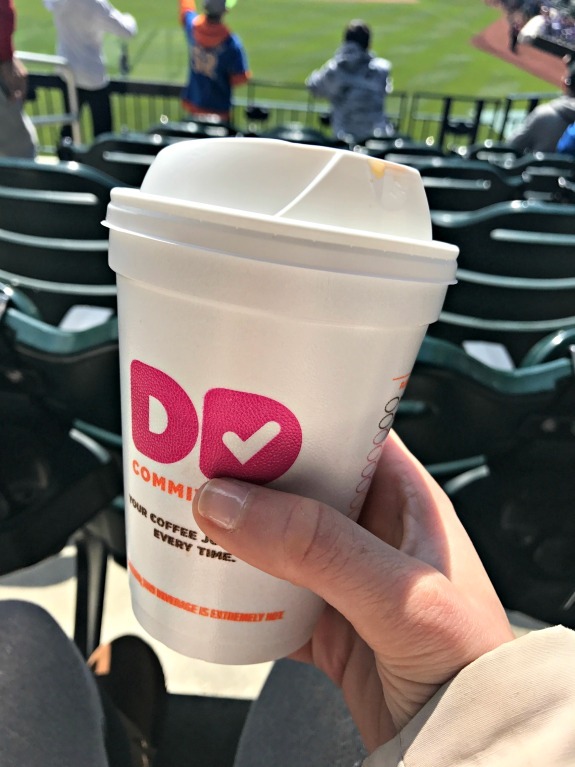 I am even more okay with going to Mets games because they give me a regular Dunkin Donuts cup without plastering their symbol on it like the Rangers do. You know how annoyed I was with the Rangers coffee cup last week. 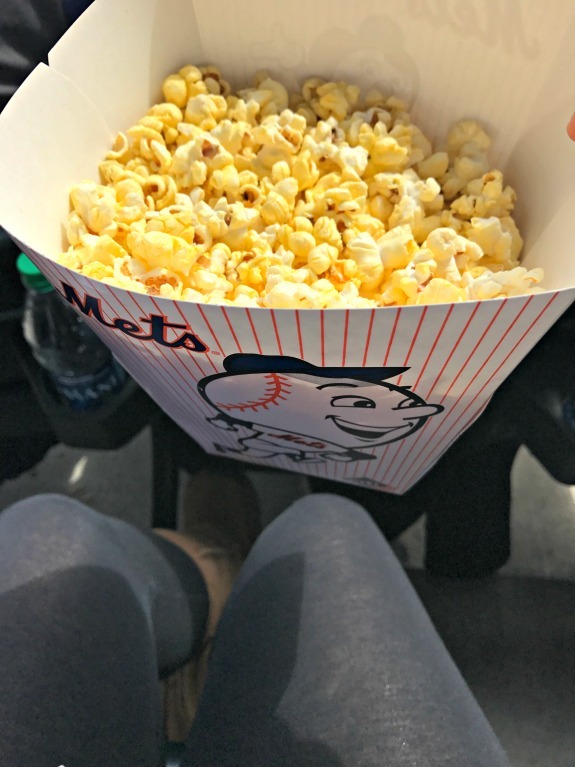 Although I really don’t mind the Mets logo on the popcorn container. Actually, the whole Mets vs. Yankees thing isn’t as severe as the Islanders vs. Rangers rivalry. Totally different. I won’t stand up to cheer for the Mets like everyone else does in the stadium but I don’t think I necessarily root against them as I would the New York Rangers. I paid really close attention to the players doing their dynamic stretching routines by the way. Dynamic stretching is super important to warm us up for when we run. Or play Major League baseball. In other news, I’ve been eating a whole lot of salads. 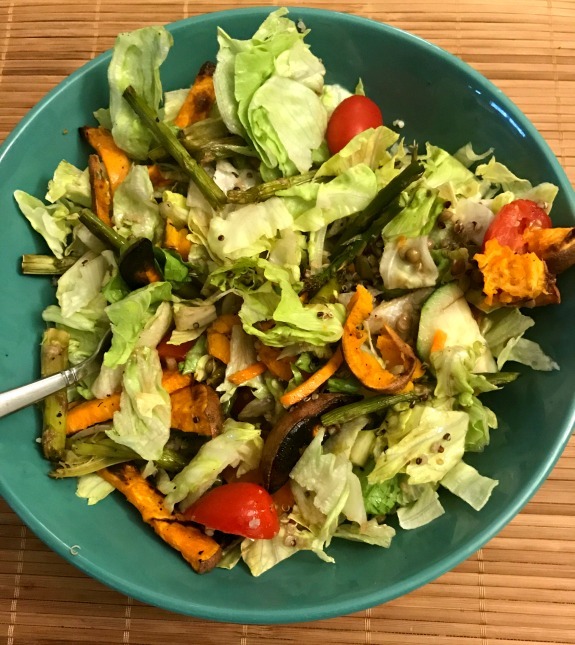 I was on a mission to eat more vegetables last week which sort of sounds funny coming from some like me. However, lately I find myself skimping in the vegetable department so I’ve been more than making up for it. First, I made sure to buy some different vegetables. Asparagus has been on sale so I grabbed it and I picked up an eggplant too. Then I remembered to make a pot of lentils and quinoa to have on hand all week. I love cooking the two together and then just adding a scoop to my lunches and dinners. I get the packages of tri-color quinoa and green lentils at Trader Joe’s. 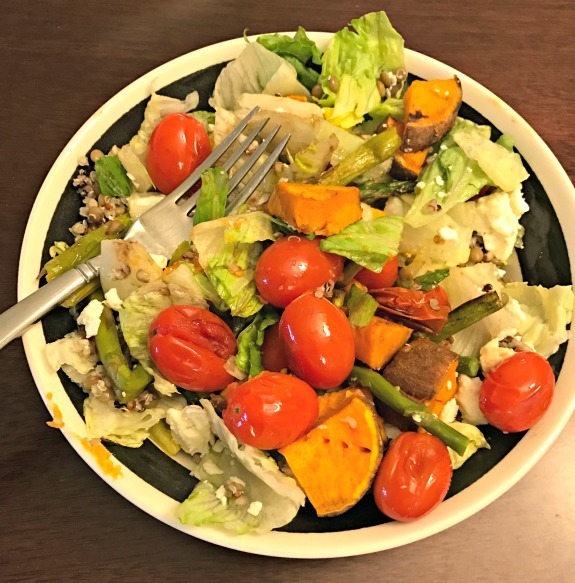 This salad contained chopped romaine, roasted asparagus, sweet potatoes and pearl tomatoes with lentils, quinoa and feta cheese. Then there was this quick and easy salad which was fairly similar only it had roasted eggplant and no feta cheese. I did a mix of olive oil and balsamic as the dressing. One day I went the non-salad route so let’s refer to this as a plant-based power bowl. 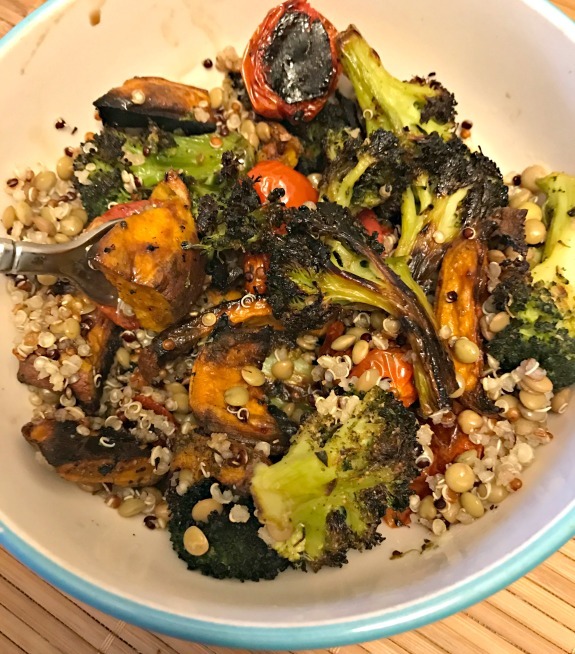 My power bowl contained roasted broccoli, tomatoes, sweet potatoes with the lentils and quinoa. Even after all of my salads at home, when my son requested Chopt, I couldn’t say no to him. Usually I include quinoa in my Chopt salad order but this time I went with chick peas to add variety to my week. Also in this Chopt salad was charred onions, tomatoes, beets, avocado and spicy peppers. 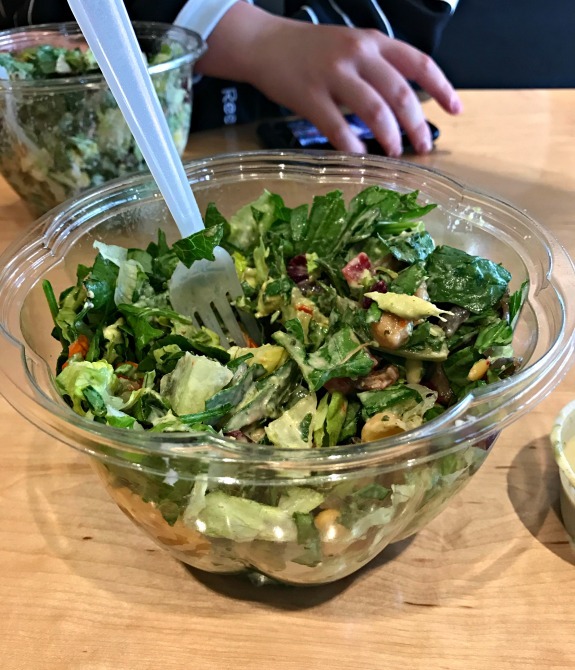 I balanced all of my weekday salads for lunch with Red mango for lunch over the weekend. 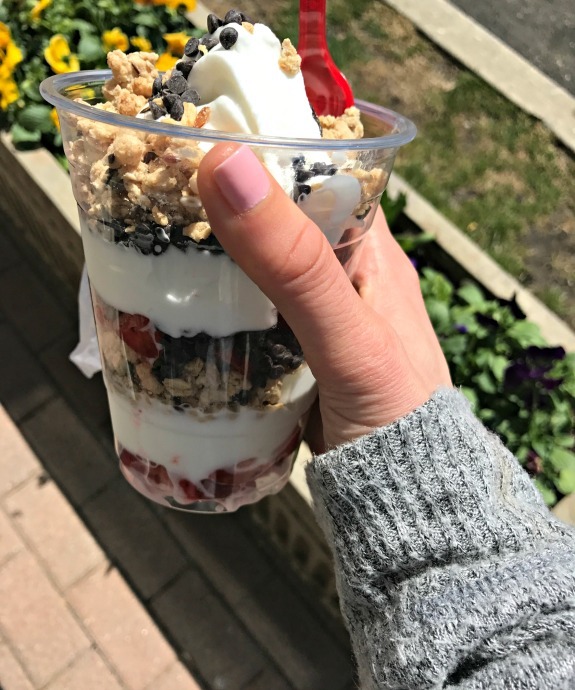 In between a lot of errands, I made sure to stop in for my favorite parfait both Saturday and Sunday. Yesterday actually, other customers and even the owner of Red Mango commented on how well I make a parfait. The owner asked me if I would like a job at the store. I politely declined and simply said I just have mad parfait making skills from years of Red Mango eating experience. Major flashback post: That time in 2013 when Red Mango paid me to review their smoothies! Are you a baseball fan? Which team is your team? Which vegetables do you usually buy? Have you bought any different vegetables lately to mix things up? With baseball I have never really had a team. Growing up my family cheered for the Mets, but then as i got older a lot of my friends were Yankees fans so I was ok with them too. Now that Im in Baltimore Ive grown to support the Orioles, but when NY is in town I will always cheer for them over Baltimore! it gets so confusing with the whole Yankees and mets thing! some people are totally die hard about it (like my dad) and then some just waiver back and forth. I enjoy going to see both! I try to shop seasonally for vegetables so the past couple weeks I’ve bought lots of eggplant, bell peppers, and carrots. I am also into butternut squash again now. The Cardinals are a big deal in St Louis where I grew up but I never really got into baseball. I think I will buy an eggplant again this week. I know we did an eggplant recipe in our recipe challenge that I liked, I need to look it up again! I love going to the games too! we were looking at going down to the nationals games this summer maybe! I think my baseball team is still the Indians, as it was growing up. It was tough for me to root for them over the Cubs, since Chicago is my adopted home. But mostly the Indians. yeah that must have been tough! especially after the cubs finally won! I went through a tomato soup phase for a while! I love how there is so much fierce love for home teams and such among sports lovers; I’m not really a sports lover, but it’s fun learning more about different team names and such from y’all. And your salads are ALWAYS EPIC! ha, yes! there is definitely fierce love going on when it comes to sports teams! Happy Passover. Is that how you say it? I am loving on those salads and I can relate. I’m been trying to up my greens as well. It’s too easy to skip it when the Hubby is working late and I’m just feeding myself. 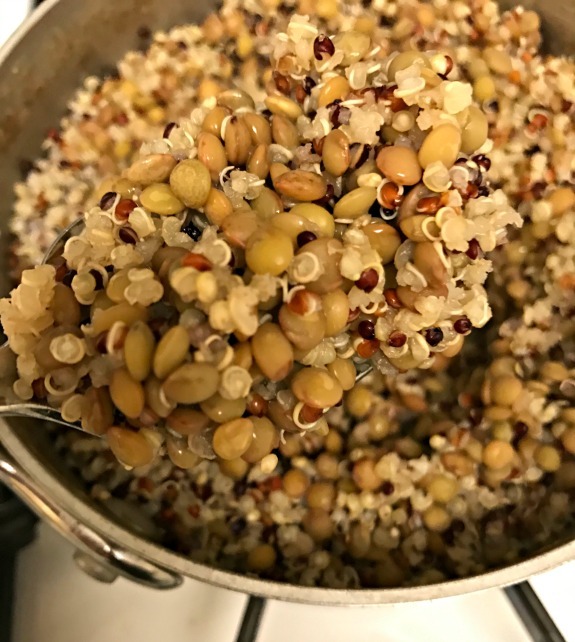 I really like the idea of making a batch of lentils or quinoa to have on hand. You do make a pretty impressive parfait. yes, thank you! that is how you say it. I really do need to make the lentils and quinoa more often. it’s so easy and cooks itself that I am not sure why I shy away from making it more! Love all the veggies! I have been eating my weight in asparagus lately since its on sale! Happy Passover… ha ha Meghan is hilarious. Good question, though! I grew up cheering for the Toronto Blue Jays. Andrew and I went to the Arizona Diamondbacks game yesterday but after we ate our snacks we got bored and left. HA! sometimes the snacks are the best part!